Factory original part. 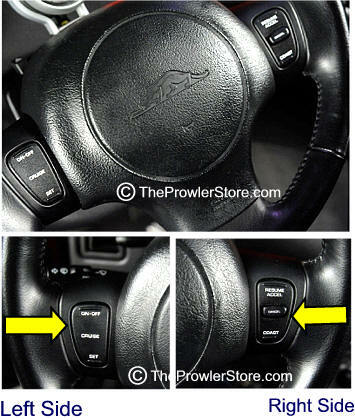 Choose Right side or Left side - see photos. 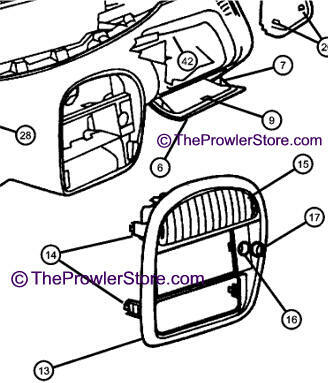 Driver: JU-RG57BX7AB Chrysler/Plymouth Prowler Sun Visor - original factory part. 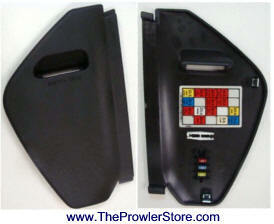 The original factory sun visor that came with your Prowler when it was new. Choose between passenger and driver side. 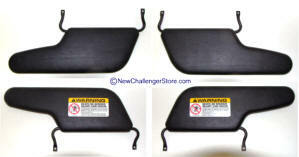 These new replacement Passenger side visors do not come with the flip mirror. 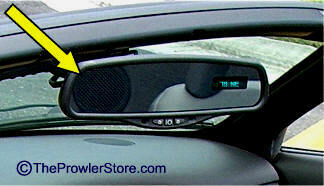 This is the factory rear view mirror with LED display in the corner that came standard in the Later year model Prowlers. 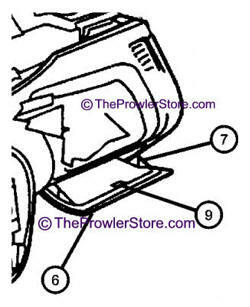 *If your Prowler does not have one of these you can still mount it, you will just need to have a professional run the wiring down the windshield column. 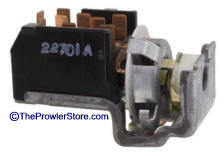 Headlight switch ON/Off knob with shaft and/or Switch for headlights. 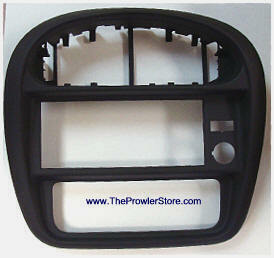 Prowler Center dash radio bezel. Years 1997-1999 bezel fits as is. For years 2000-2002 You will need two additional pieces that go with this, a slightly different cigarette lighter and a emblem plug. This price include a full kit for the later model years. 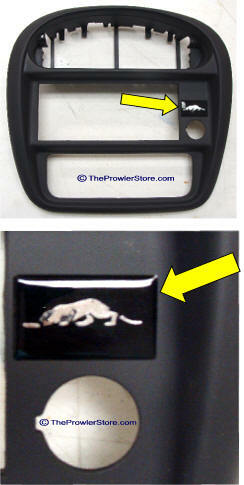 Kat Emblem plug needed for 2000-02 Prowlers. 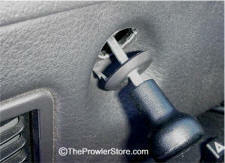 Self adhesive back - sticks to radio dash. 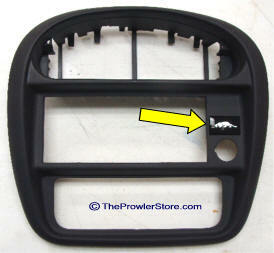 Covers up the hole when buying a new radio dash cover if you have a 2000-2002 Prowler that does not have that radio option. 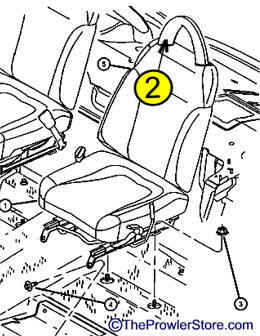 Three components of the Gove box. 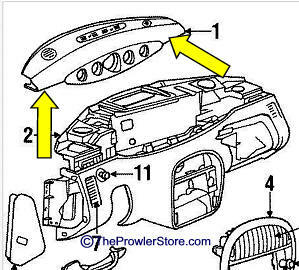 Genuine factory part. 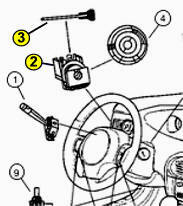 Three components of the Dash Instrument Bezel. 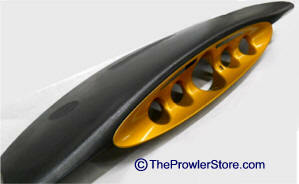 In very good condition used Prowler Pad and gage housing. 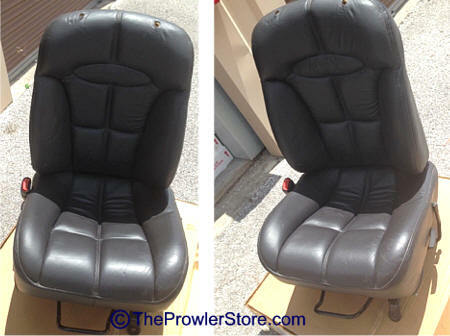 Complete Prowler factory seat assembled. 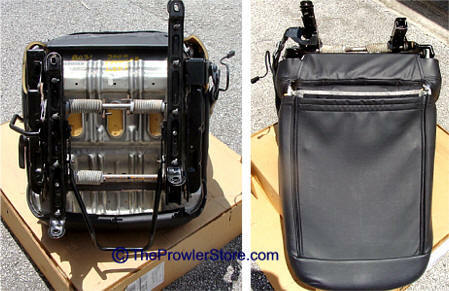 Includes upper and lower seat, rails, seat belt clip, electrical wires and connectors. See photos. 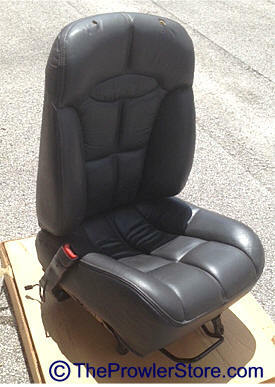 Headrest not included with seat. Available to buy new just ask or see item below. 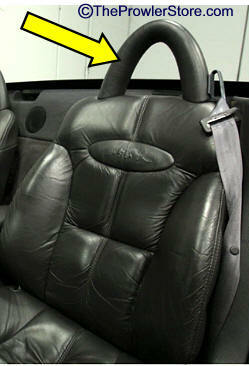 Choose side: Passenger or Drivers. 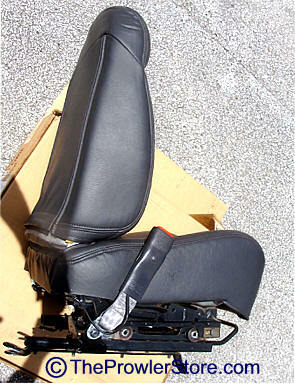 Seat upper head rest fits both passenger and drivers side seats.